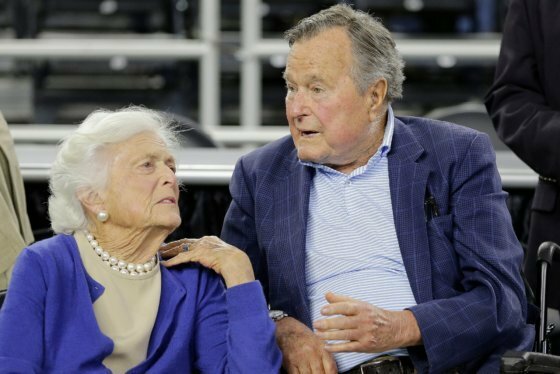 The National Day of Mourning for President George H.W. Bush declared by President Donald Trump will be treated like a federal holiday when it comes to federal employees' pay and leave benefits, the Office of Personnel Management said Monday. Meanwhile, most mail delivery will halt and post offices will be closed. WASHINGTON — The national day of mourning for former President George H.W. Bush will act as an impromptu federal holiday, meaning many federal employees will have the day off and those who are required to report to work will earn premium pay, federal officials announced Monday. In addition, the U.S. Postal Service says most mail service will halt and post offices will be shuttered. President Donald Trump on Saturday issued an order closing federal government offices Dec. 5 to “pay homage to the memory of the 41st president. Employees in national security, defense and other fields will still be required to report to work. The U.S. Postal Service announced Monday it would suspend regular mail deliveries and close post offices Dec. 5 for the national day of mourning, which comes amid the busiest shipping weeks of the year. “We will provide limited package delivery service on that day to ensure that our network remains fluid and we do not experience any impacts to our package delivery operations that might negatively affect our customers or business partners during the remainder of our busy holiday season,” the Postal Service said in a statement. Former President George H.W. Bush served from 1989 to 1993. Here’s a look at the life of the 41st president in pictures. In addition to the federal government, Maryland Gov. Larry Hogan announced Monday he was closing state agencies Dec. 5 to honor the late president. All courts, court offices and administrative offices in Maryland will also close on Wednesday. D.C. Mayor Muriel Bowser announced the District government would remain open and running on a normal schedule. OPM, the federal government’s human-resources agency, posted lengthy guidance on its website answering federal employee’s pay and leave questions. Most employees who are excused from duty Wednesday will receive their basic rate of pay as if they had worked a full day of work. (For employees on compressed work schedules, that could be more than eight hours). If you have a nontraditional workweek and you don’t normally work Wednesdays, good news: OPM said those employees can have an “in-lieu-of” holiday either Dec. 3 or Dec. 4. If you were already scheduled to take annual leave on Wednesday, you will not charged leave for that day, according to OPM. However, if the leave is of the “use-it-or-lose-it” variety, make sure to use it before the end of the year, OPM said. Otherwise, the leave will be forfeited. Employees required to report for duty Wednesday will generally receive holiday premium pay, OPM said. There are some notable exceptions, including members of the Senior Executive Service (including the FBI and Drug Enforcement Administration SES), the Senior Foreign Service, among others. Again, if an employee doesn’t normally work Wednesdays, they’re eligible to receive holiday premium pay on their in-lieu-of holiday. See the answers to more questions, including for employees on alternative work schedules, on OPM’s website. The funeral procession for the former president will close a number of roads throughout the D.C. region this week. Starting Monday, the late president’s body’s will like in state for three days for mourners to pay their respects. 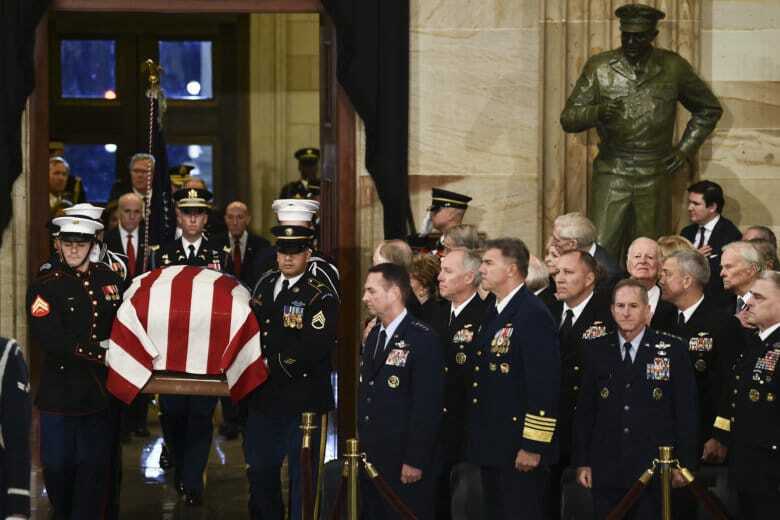 Bush’s state funeral will be held Wednesday at the Washington National Cathedral. Expect more road closures for George H.W. Bush’s procession on Wed.
Last year's Stanley Cup Champions the Washington Capitals will not get a chance to defend their title. Their run ended in a double overtime loss to the Carolina Hurricanes in Game 7. See photos of their playoff run.